A straight bet on the outcome of an event with returns determined based on the amount staked and the odds offered. A single bet wins or loses depending on the outcome of the backed event. The person placing the bet must decide the amount they wish to stake, the higher the stake the higher the potential winnings. 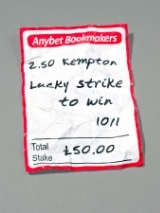 If the selection loses the bookmaker keeps the stake and returns nothing to the punter. If the selection wins, the stake is multiplied by the odds (fractions) to determine the profit, and both profit and stake are returned the customer. Bookmakers offer higher odds on selections they believe less likely to win. The higher the odds offered the greater the winnings when the selection does win. The basic strategy is to place bets on selections that you think are more likely to happen than the odds suggest. These are often described as "Value" bets. A single bet can be modified into an each-way bet, to mitigate some risk by generating a return if the selection only finishes in a placing position See here for a full explanation. Accepted anywhere that takes bets. 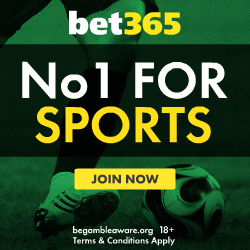 Across all sports and countries this is the one bet you can always rely on being available. These are straightforward to work out, but a single bet calculator may come in handy for speed and to avoid human error. Single bet calculator - Use this betting tool to calculate your winnings for a single bet. Handles each way bets, non runners, dead heats and more. Enter the odds and the summary updates automatically, working out your winnings couldn't be easier. What is a double bet? - A popular option for those punter that find themselves with two peferred selections. Both choices must win to generate a return, but when they do the payout is multiplies significantly. What is a treble bet? - Works the same as a double bet but with 3 selections instead of 2. A riskier wager but with the potential for much higher winnings when it does come off. Visit the page for a football betting example demonstrating both winnings and losing scenarios.